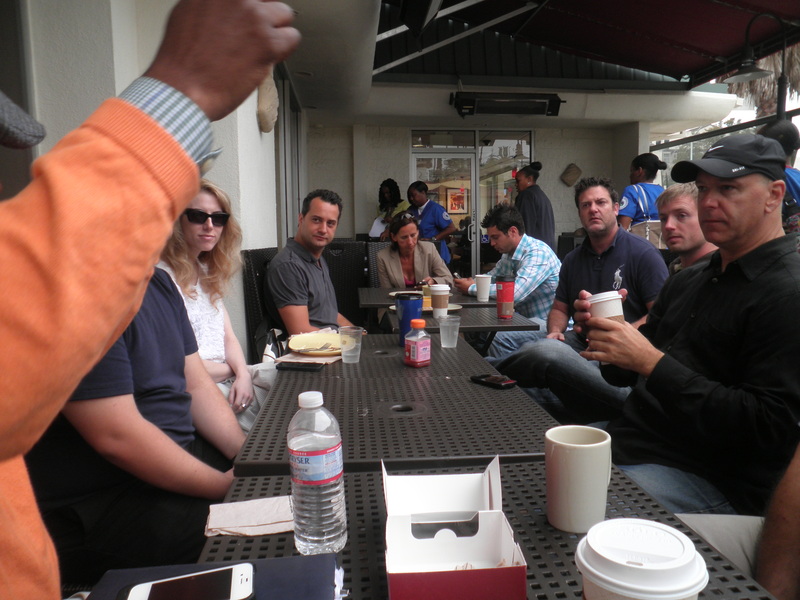 It was not easy to get up early, but I came to the Breakfast Un-Meeting in Santa Monica’s Panera Bread at 7:45AM. There were other like minded people who came to talk about startups. Tom Nora, the founder of Startup Workshops group, has been organizing events like this one since Jan 2012 and already has 700+ members in his group. “Startup Workshops are startup experts helping entrepreneurial leaders achieve long term success. We provide serial entrepreneurs, financiers, startup attorneys, marketing experts and others in the startup ecosystem to network and teach best practices to early stage startup founders and those who would like to join an early stage startup”. There were 12 early birds. Among them: John Cronise, working on his secret startup, Roni, former CEO of a fashion design company, Jose daVeiga, serial entrepreneur who worked on Klicksports; Brett Harris from Super Accelerator, Tai Greene, working on My choice app; Julio looking to join a startup, Byron bus dev formerly with Sun and T- Mobile, and other interesting people. Great conversations and connections. Thank you, Tom, for organizing it! This entry was posted in startup and tagged entrepreneur meetings, Panera Bread, Santa Monica, startup workshops, Tom Nora. Bookmark the permalink.